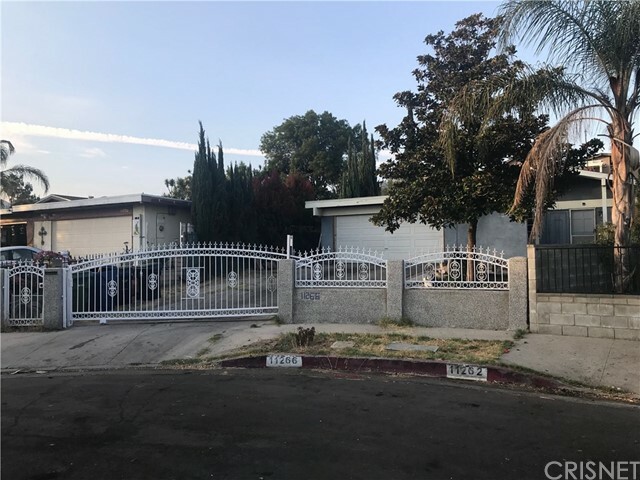 All Pacoima homes currently listed for sale in Pacoima as of 04/24/2019 are shown below. You can change the search criteria at any time by pressing the 'Change Search' button below. 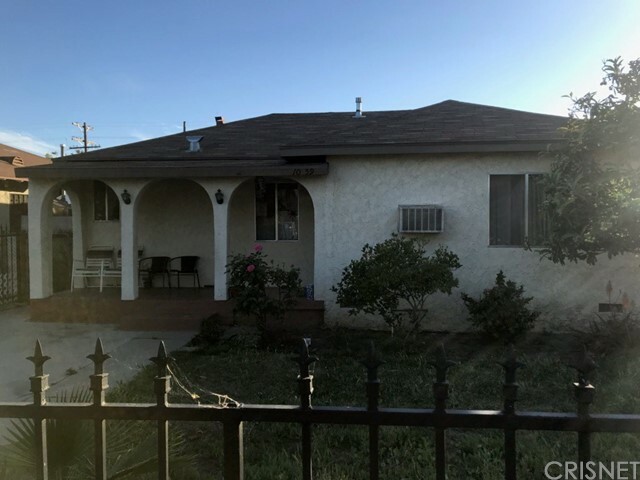 If you have any questions or you would like more information about any Pacoima homes for sale or other Pacoima real estate, please contact us and one of our knowledgeable Pacoima REALTORS® would be pleased to assist you. "Private Gated Property with long Driveway Leading to Garage, One Level Home with 4 Large Bedrooms and 3 Bathrooms, Laundry Room, Fruit Trees including Pomegranate, Avocado, Grapefruit, Lemon, Orange etc. Beautiful Spacious Property with over 9,500 Sq-ft Lot size. Property is zoned to have Animals Such as Chicken and Goats as well! Kitchen Re-modeled with Newer Cabinets and Granite Counter Tops, Spacious Bathrooms with Granite Counter Top and Double Sinks, Newer Custom Entry Door and Newer Window"
"This spacious home built in 2014 in the gated community of Branford Village has many upgraded features. It's truly an energy efficient home: it boasts solar energy (incl. in price) keeping bills extremely low, dual paned windows/doors, and tankless water heater. There's a community pool, clubhouse, basketball court and playground where much family fun can be had. Enter into a spacious living Rm then to open layout family room, kitchen, granite counters with lots of storage. 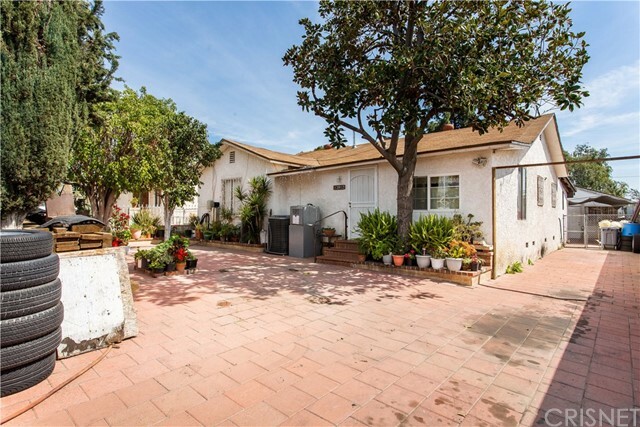 The family room leads"
"Brand New Listing in Pacoima! This 7,500 sqft lot features a main 3 bedroom / 2 bath house, as well as a permitted 1 bed / 1 bath Additional Dwelling Unit out back. The main house features a semi-open floor plan with pristine tile flooring. All bedrooms are spacious with rich wood flooring. The kitchen is galley style beautiful, stained wood cabinetry and sleek countertops. A brick patio surrounds this home, offering plenty of parking and hosting space. Also featured: laundry room, RV driveway. " "Spacious home with an extra bedroom and bath, Large back yard was recently updated, ideal for entertaining. Home is near shopping, restaurants and freeway access. Perfect first time buyer or rental property." 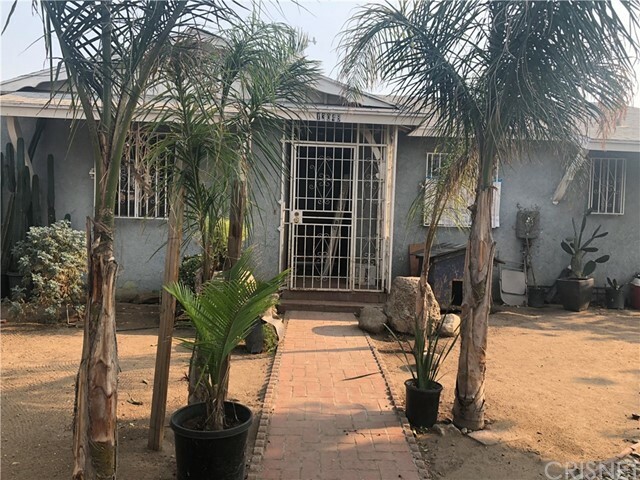 "Located in a well established neighborhood in the heart of San Fernando Valley with 4 bedrooms, 2 bathrooms, two car attached garaged, minutes to 118, 5 and 210 freeways. Closed to major shopping centers." 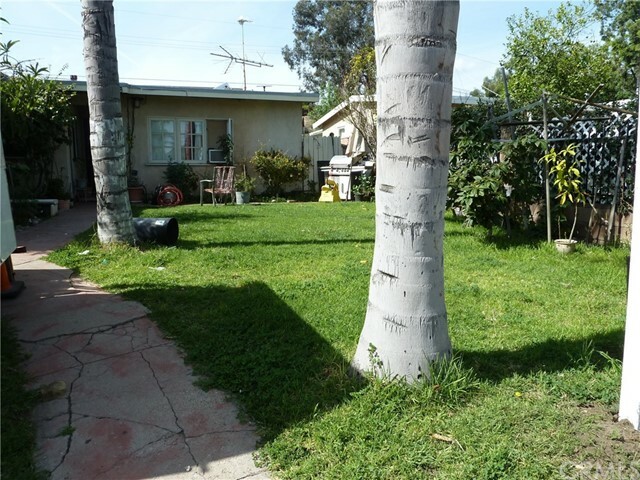 "This is a great property located in the heart of Pacoima. It has 3 bed 2 bath, detached 2 car garage. Good size back yard with covered patio. Centrally located closed to major freeways, the 5, 405, 118 and 210. Home needs some work, just bring your tools and imagination and make it yours." "1 Story home, title flooring, up dated bathroom, granit counter top on kitchen, new gabinets, side deck, new roof, solar system. Property in good condition. Close to school and shopping area." "WELCOME TO CALIFORNIA GLEN COMMUNITY! 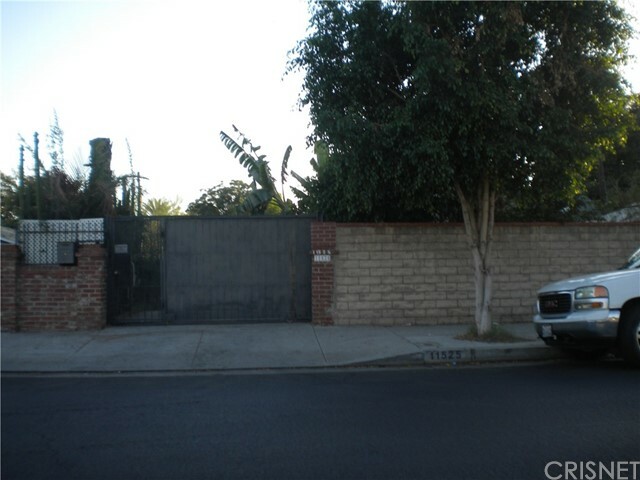 SITUATED IN THE CITY OF PACOIMA, IN THE 24 HOUR GUARD GATED COMMUNITY, YOUR HOME AWAITS. OFFERING A OPEN FLOOR PLAN WITH 3 BEDROOMS AND 2.5 BATHS, WITH 1926 SQ FT OF LIVING SPACE; THIS HOME IS READY TO ACCOMMODATE YOU AND YOUR FAMILY. OTHER FEATURES INCLUDE A LIVING ROOM W/FIREPLACE, DINING AREA, AND KITCHEN W/DINING BAR. IMAGINE THE STORIES TO BE TOLD AND THE MEMORIES TO BE MADE ALONG THE BAR. THE MASTER BEDROOM HAS A WALK-IN CLOSET AND THE BATHROOM HAS DUA"
"First time in market since 1959. Excellent location , Close to all. Dated but in good shape entry level home. Plenty of land area for an ADU addition." 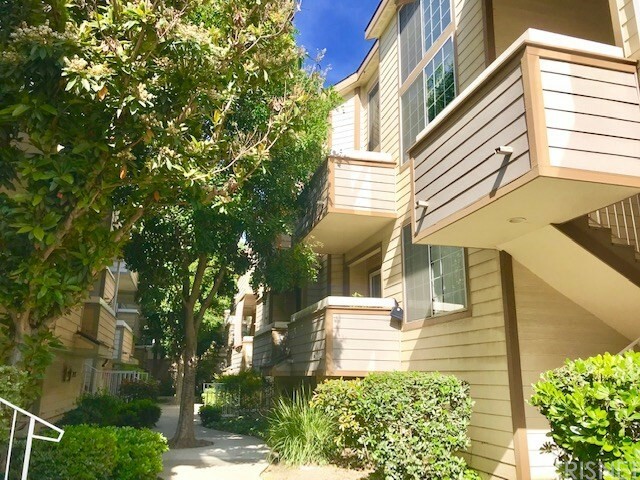 "Beautiful 2 + 2, Tri-level Townhouse in one of the San Fernando Valley's most sought gated communities, Glen Oaks Community. **Unit features: 2 spacious master bedrooms (one master bedroom w/private full bath, walk-in closet & high ceilings). **Kitchen offers lots of cabinet space, beautiful counters, bay view window & flowing natural light. Separate dining area. **Custom hardwood floors in the living room and dining area, large private patio off of the living-room. **Entire unit has lots of natura"
"Portofino Village Townhouse, controlled access units. Unit located within close proximity to pool and spa. New tile downstairs and new AC unit. Very spacious with a wrap around outdoor patio. The open floor plan offers a cozy kitchen, dining area and spacious living room with a fireplace. A walk-in closet in the master bedroom. Central A/C & Heating, community pool,and spa. Direct access garage. Quiet community." "Fantastic opportunity awaits you inside this Upper level 2 Bedroom, 2 Bathroom unit with Large Loft that can be used as 3rd Bedroom. Kitchen has been remodeled with granite countertops and stainless appliances. Plantation shutters, laminate flooring great location within development with guard gated access to enhance privacy. Open floorplan with dining and patio, 2 car garage plus ample guest parking, 3 community pools, tot lot, close to shopping and great proximity to freeway." "This is a STANDARD SALE ! Here is your opportunity again! 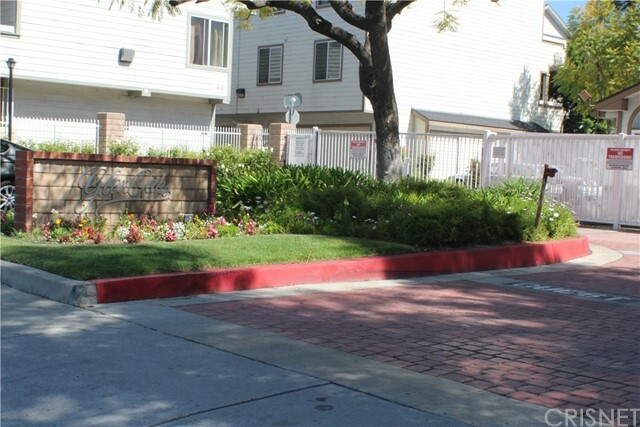 Great started home, a very nice condominium complex near 210 freeway and close to everything. 2 good size bedrooms and 2 bathrooms,open living room bright kitchen and huge balcony, tile floors and wood floors, amazing paint job !! looks brand new ,you need to see it to appreciate !! Don't miss this opportunity it wont last, priced right for a fast sale !" "Come see this well laid out unit in a large complex with resort like features. The large bedroom downstairs and converted loft upstairs offer plenty of space, as well as an updated kitchen, a separate dining area and full bathroom. Additionally, the newer central AC/Heat will make sure you are living in year round comfort. On top of that you have 2 parking spots in the garage below as well as your own private laundry room. 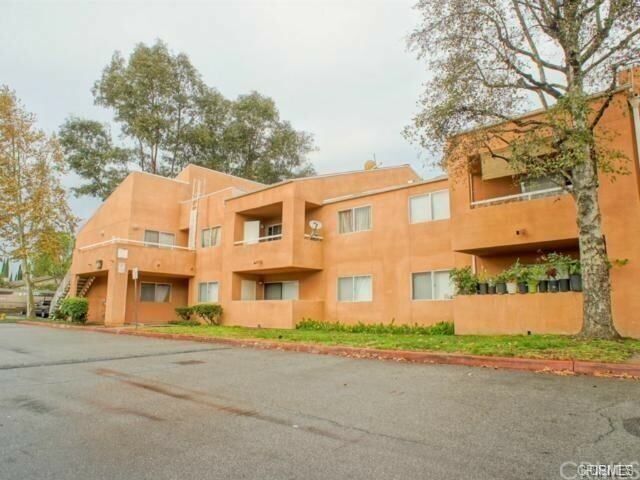 Located near Hansen Dam Recreation Center, dining options and freeways ma"